 The distillery was founded as Ledaig distillery in 1798 by John Sinclair, ten years after the founding of Tobermory by the British Fisheries Society. Sinclair had originally arrived in the village as a merchant dealing with soda ash from burning the locally available kelp. In April 1797, he applied for 57 acres to the south of the harbor in order to build houses and a distillery. Distilling had been banned in the UK since 1795 in order to save grain for the War of the First Coalition with France. Although he was originally told to build a brewery instead, he remained with the original plan and additionally built a pier known as "Sinclair's Quay". The current buildings were constructed during that first period of occupation, and were licensed in 1823. It was acquired by John Hopkins & Co in 1890, and by Distillers Company in 1916 before closing in 1930 following a drop in the demand for whisky due to ten years of prohibition in the United States. The colourful houses of Tobermory village In 1972 it was reopened under the name of Ledaig Distillery (Tobermory) Ltd. In May 1975, production had to stop for a month as storage space for the whisky had run out. The construction of a bonded warehouse had been delayed, causing fourteen workers to be laid off in the duration. This was followed by the distillery going into receivership, with it being purchased by the Kirkleavington Property Company in 1978, it opened again between 1979 and 1981. In the 1980s, the warehouses were sold off for conversion into flats, and as such maturation no longer takes place on site. It closed again until 1989, and in 1991 it was purchased by Burn Stewart Distillers for £600,000 plus £200,000 for stock. Burn Stewart Distillers were bought out by Trinidad–based CL Financial for £49 million in 2002, including the distillery at Tobermory and Deanston. It remains the only whisky distillery on the Isle of Mull, in the main village of Tobermory at the northern tip of the island. Tobermory is known for the variety of colours that the houses of the shore front are painted in and for being the location of the children's television show Balamory. The distillery itself is located at the foot of a steep hill, at the head of the bay. In 2012, during the driest summer for thirty years, the distillery was forced to halt production temporarily, to preserve the quality and consistency of its whisky. Early the following year, following several further months of unusually dry weather, there was another temporary halt to production. On each occasion, the water level in the small, private loch used to supply water to the distillery had dipped to such an extent that proper rainfall was needed to replenish it to a satisfactory level. In 2013 Burn Stewart was bought by Distell Group Limited of South Africa. All logos are copyrighted to their respected owners. Some content supplied from Wikipedia. Find out about our latest releases in advance. We're based in Edinburgh and we specialise in all things whisky - from tasting, sourcing, to collecting. Join us on our whisky journey, pick up tips on the next great dram! Opened a bottle and have a sample to share? Are you a representative of a distillery looking for a review or notes on a new bottling? Or do you have a general enquiry?